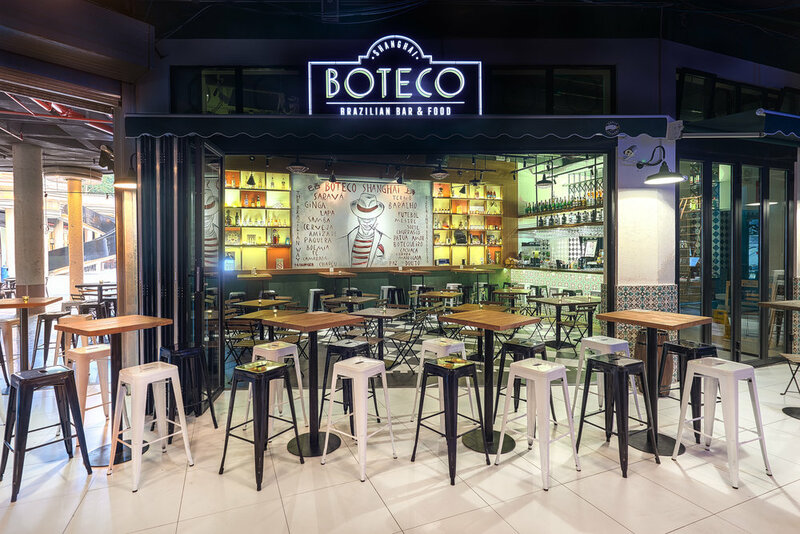 Boteco is a Brazilian bar and restaurant inspired by the laid-back local life in Brazil. 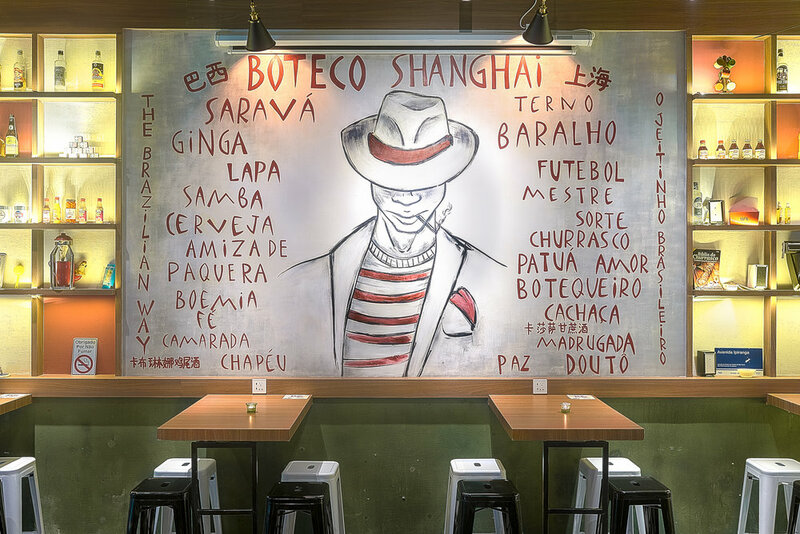 The Brazilian-owners wanted to create the first true Brazilian bar in China and tasked the designers with capturing the local vibe and integrating that into modern Shanghai. A feature wall defines the mood with ahand-painted mural of Malandro, the white-suited ideal of cool in Brazil. On both sides of the mural, shelves are filled with trinkets and treasures from Brazil. A typical black and white checkered floor tile pattern pays homage to the many local bars in the neighborhoods of Brazil. Hinged tables on the wall make it easy to clear furniture for salsa nights. The flooring marks out a space where the live band can be stationed. Highlights of green, shown in the walls and bar tiles, connect the colors of Brazil and create a space that feels like it could be in South America.